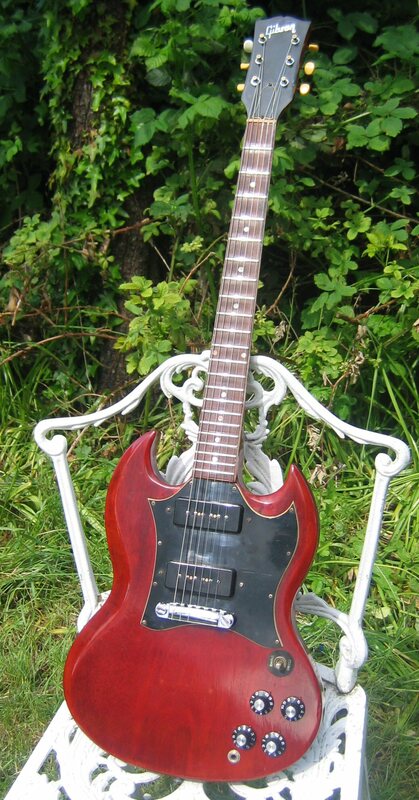 Here's one that I couldn't resits, I saw the add on ebay and just felt so sorry for it, probably wrecked by a Pete Townsend impressionist or may be someone got hold of it who didn't appreciate what it was, who knows ? 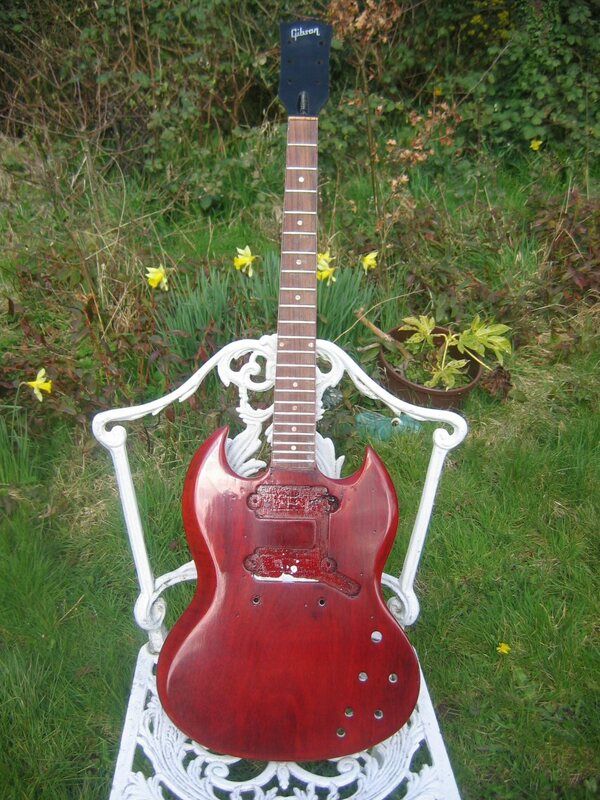 Anyhow it caught my eye, I picked it up for a reasonable price and I just thought I could fit it in between my paying work! 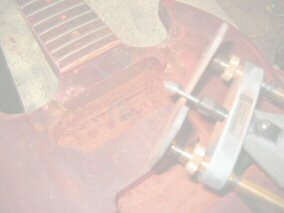 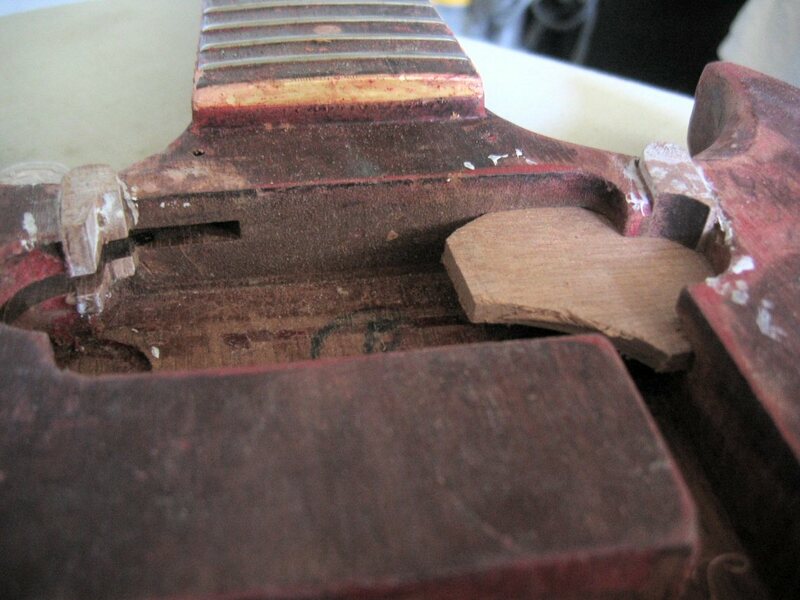 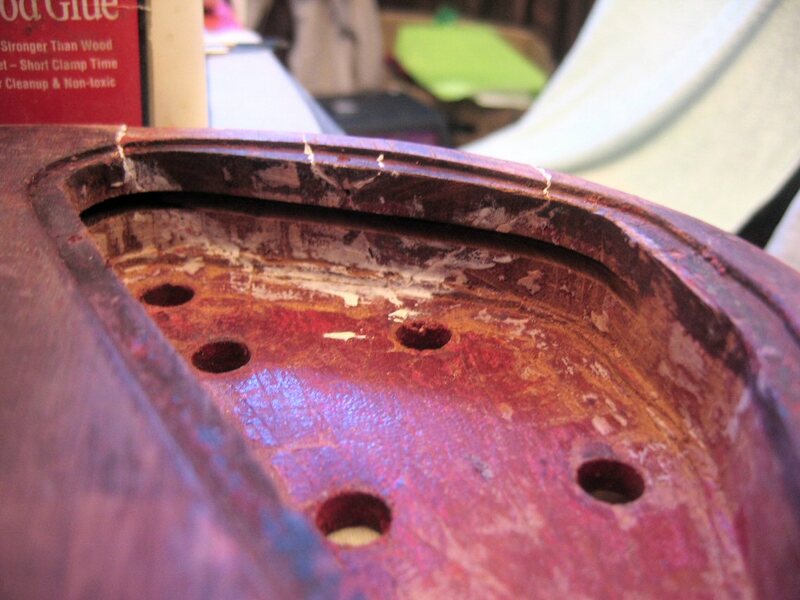 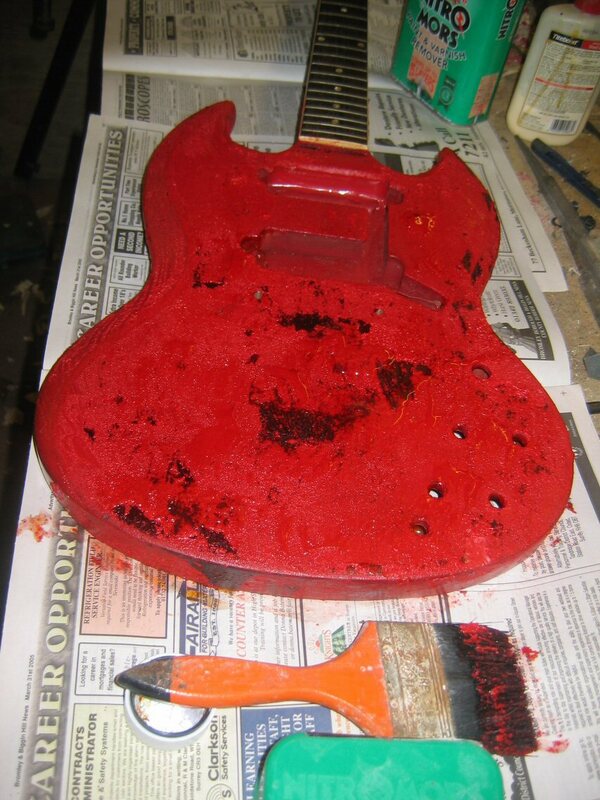 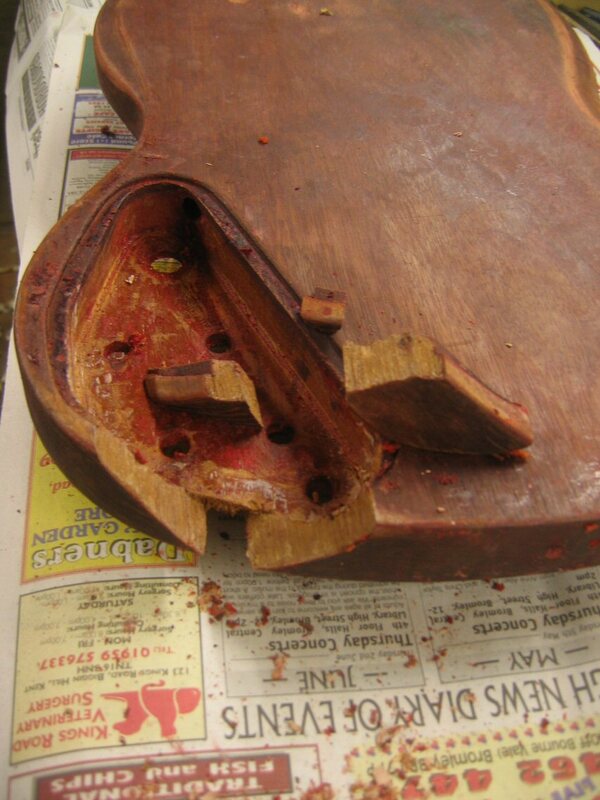 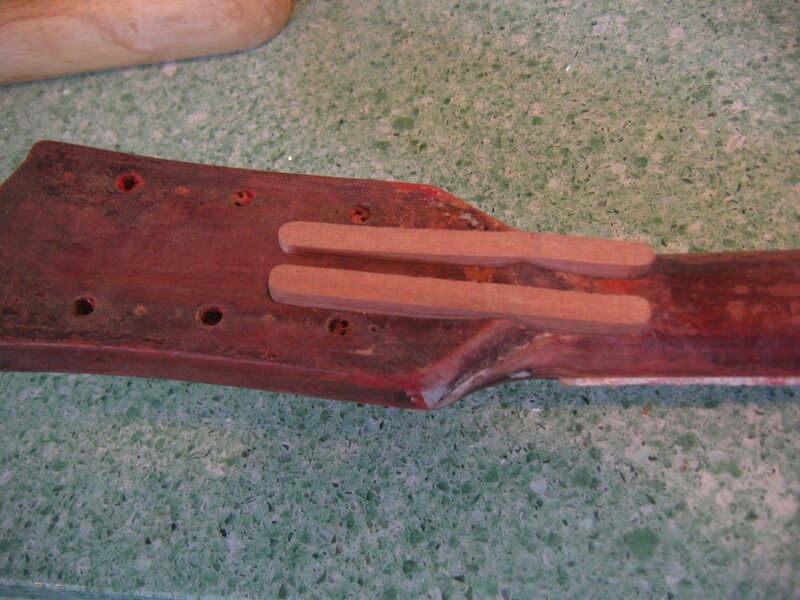 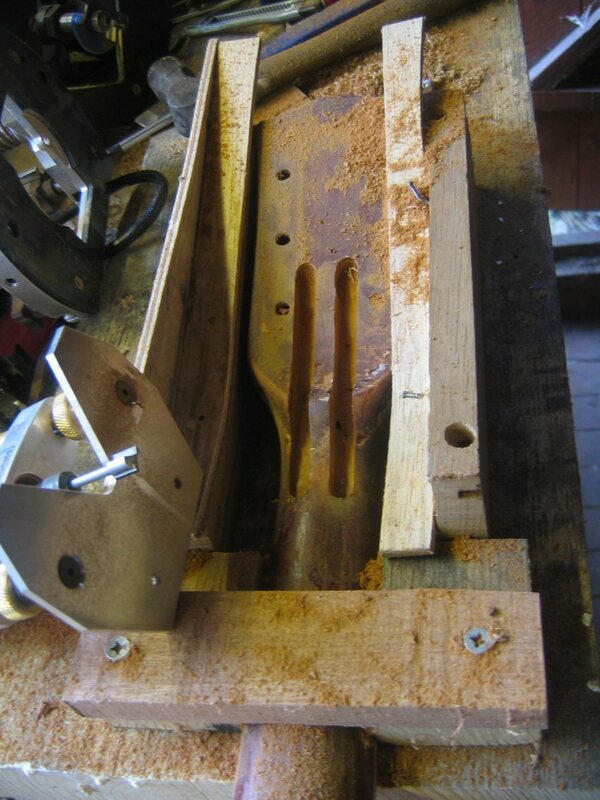 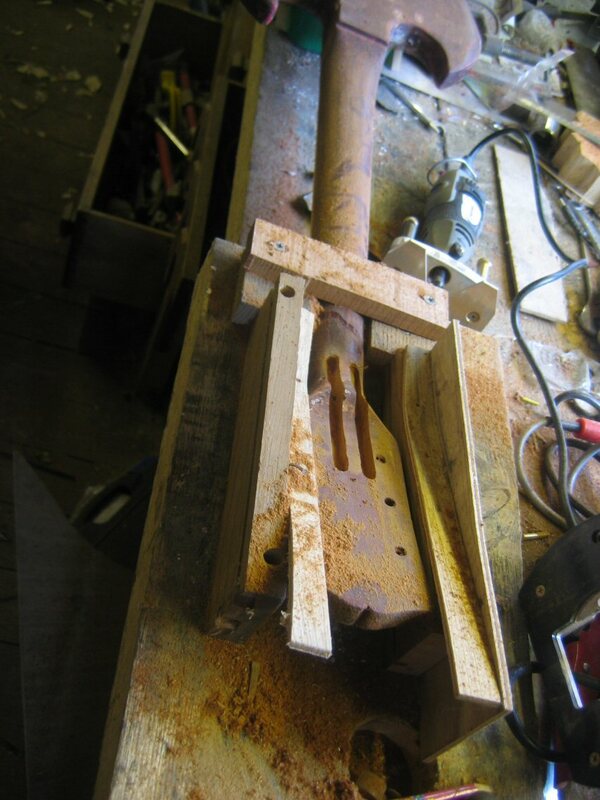 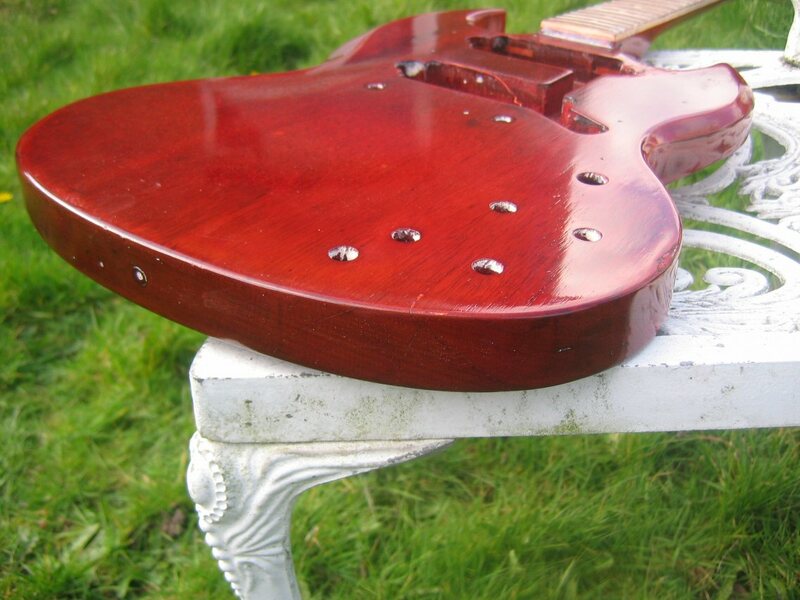 In additon I thought this project would summarise all the typical guitar repairs. 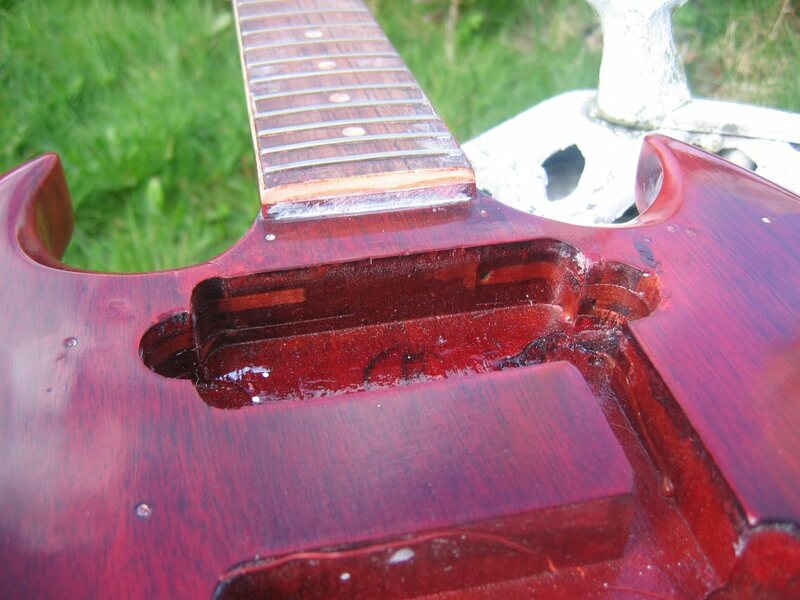 Paint stripper removes the existing ugh! 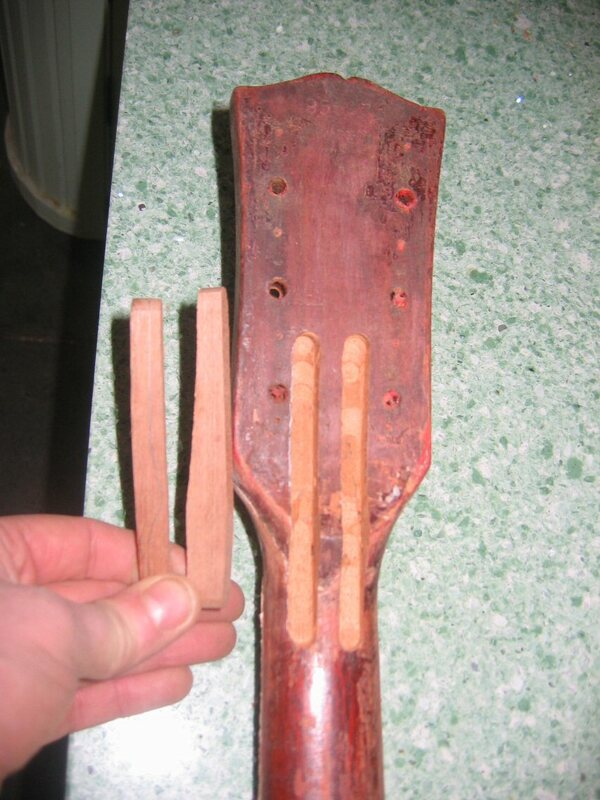 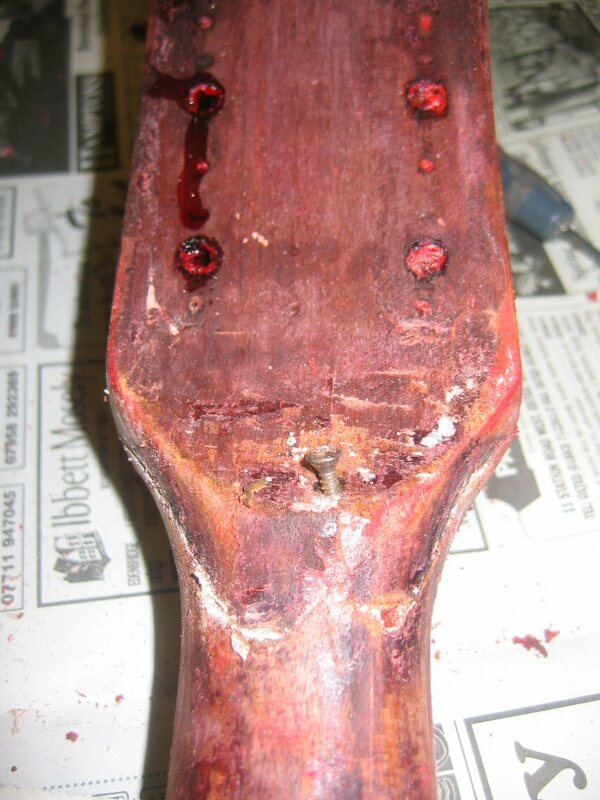 Awful headstock repair notice the screw! 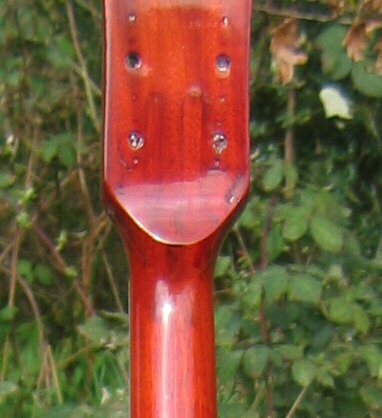 Well here it is back how it should look ! 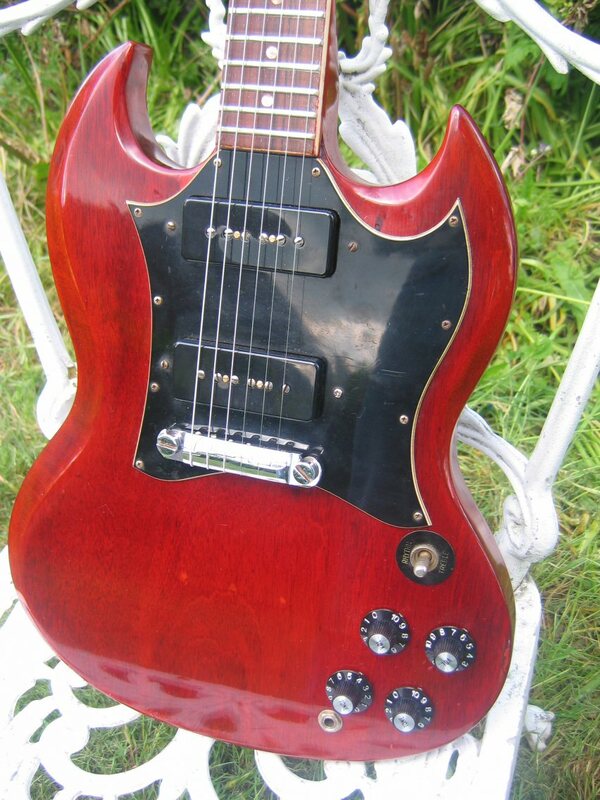 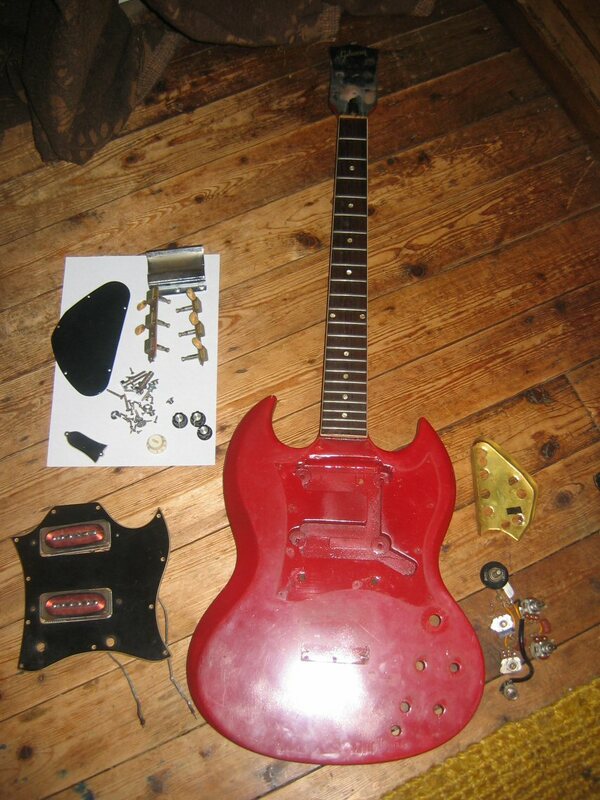 I've made no attempt to relic the new parts, pickup covers, knobs, bridge and repaired Kluson tuner, I don't see the point its a genuine Gibson guitar which has had a hard life.